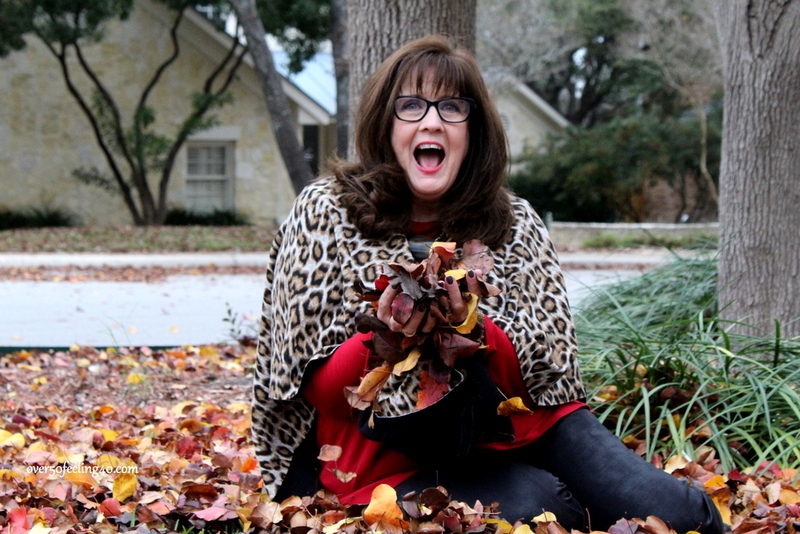 I have been so excited about the cooler weather, the leaves in my yard changing colors, putting up my decorations…and, oh yes, wearing my autumn clothes. As I was dressing with a touch of leopard on Monday, it occurred to me how universal leopard prints are now. In fact, some are calling it a neutral…meaning it will go with just about anything.  So, I wanted to encourage you for any women on your shopping gift list to consider leopard…because for most, it is a safe bet they will like the gift. Now, I realize that ALL to do not like EVERYTHING. I know some of you do not even like neutrals…as much as I do any way. But, I have not met a woman in long time who did not like animal prints…particularly leopard. And it is everywhere this year. It makes a great gift, because it never goes out of style. Check out my slide show below and see the gift options on the market. So many fun ones…and I even noticed younger ladies are wearing it this year! I do not think you can go wrong with leopard as a shopping choice. Love how you said it, Betty! Yes, a forever love for me as well. i like animal prints, particularly leopard. I’m going to add a touch of leopard to my sister’s gift – I never thought of it. The scarf above that gorgeous necklace is exactly like the one I found (had been searching for the perfect leopard scarf!) – and I really want to get some leopard earrings. I agree that leopard looks good with just about anything! 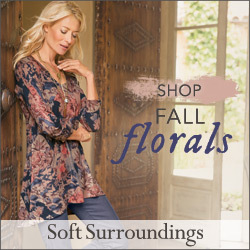 That jacket in the slideshow with the floral trim is super cute! There are soooo many cute leopard items out right now. It’s hard to stop! Absolutely Love, Love your necklace. Leopard has been a standard in my closet since the 60’s. 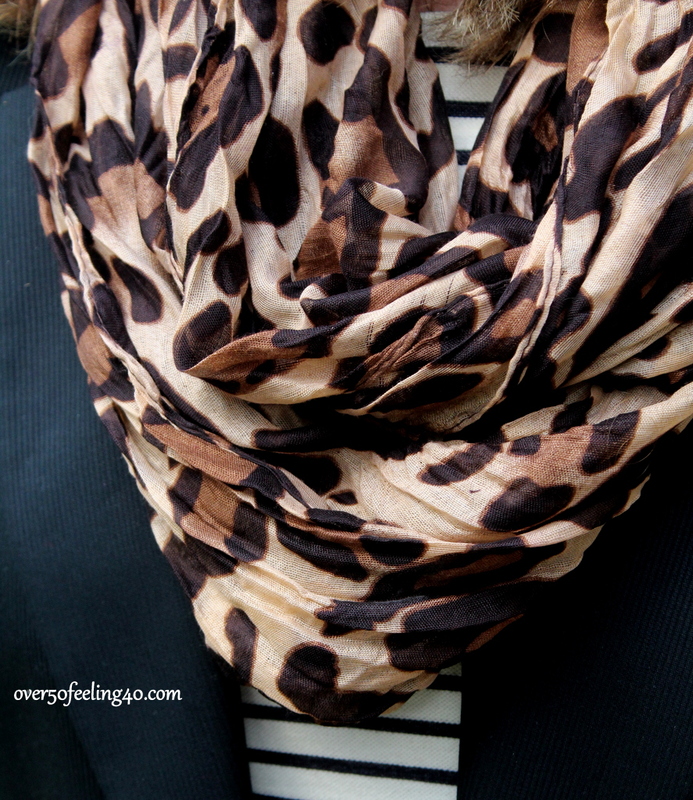 A few years ago Michael Kors had a gift with purchase – a beautiful leopard print scarf, soft and wide. I still use the scarf, it just goes with everything. Lucky me that my sister adores leopard as much, if not more, than me and gifting her is easy. I wish I had seen that special!! Love Michael Kors and leopard!! The necklace is one of my favorites. Thanks for sharing, Shirley! Now I am dying to see a photo of you!! I love leopard print. And those necklaces are amazing! I love the Chico’s necklace I own. It’s also reversible! Hi, Pam You’ve just met a person who does not like animal print, especially leopard. I grew up in an era where leopard print on a woman said “cheap” and not in the monetary sense. I can’t get past that. I love the animal colors and patterns, but I love them on the actual animals themselves. If someone were to give me a gift in animal print, I would say a heartfelt thank you, but I would not be wearing it. I knew you were out there Kay…you are always welcome here to take the other side! I’ve loved leopard (and black & white houndstooth) since I was a little girl, and I agree that leopard is a neutral. 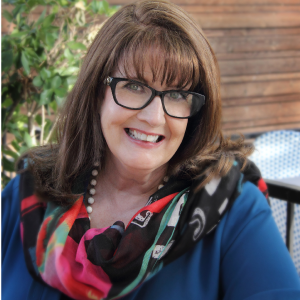 I have leopard in scarves, sweaters, t-shirts, blouses, handbag, tortoise sunglasses (if that counts) and… I particularly enjoyed shopping all of your links! Thank you, and enjoy your winter wardrobe! It took me a long time to warm up to the leopard look, & I still do it in small doses like accessories. I like the snow leopard print over the regular, as I think it looks better with my white hair, but a leopard belt is on my wish list. 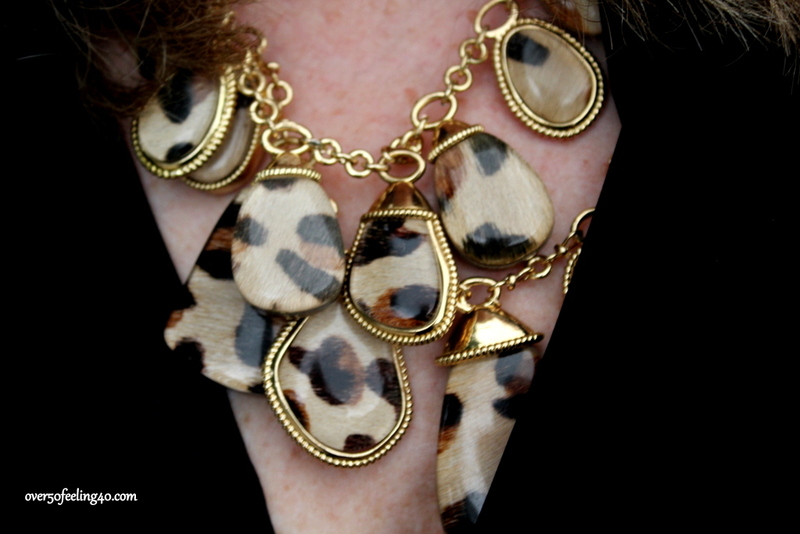 I love animal prints, so long as they are in their natural colors, and fit correctly. There is a world of difference between a body skimming leopard cardigan or pair of flats vs a tight pair of neon green leopard leggings. It’s alway, always about the execution. I’m a big fan of leopard print too. I remember when I was considered vulgar if worn too loudly but have gotten past that and adore it! I love this picture of you Pam!